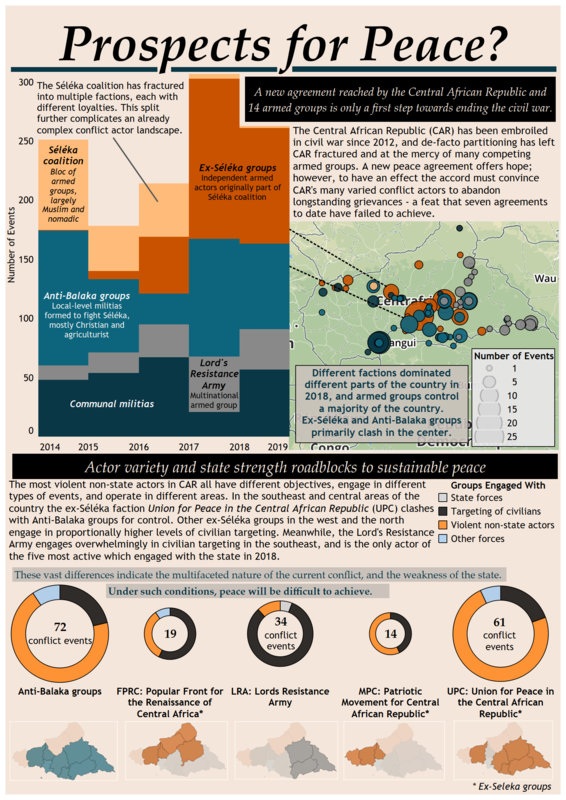 In this infographic, ACLED Research Analyst Melissa Pavlik explores the viability of the new peace agreement reached by the government of the Central African Republic (CAR) and 14 non-state armed groups. © 2019 Armed Conflict Location & Event Data Project (ACLED). All rights reserved.